Global XPE - TECO-Westinghouse Motors (Canada) Inc.
For more than a century, TECO-Westinghouse motors have been recognized as industry leaders in dependability and quality. The Global XPE motor continues to provide the high quality and reliability that you have come to expect from TECO-Westinghouse. The feature packed Global XPE has been designed and built for the most demanding applications in the industry. Couple your Global XPE with our TECO VFD’s for energy savings & speed control. 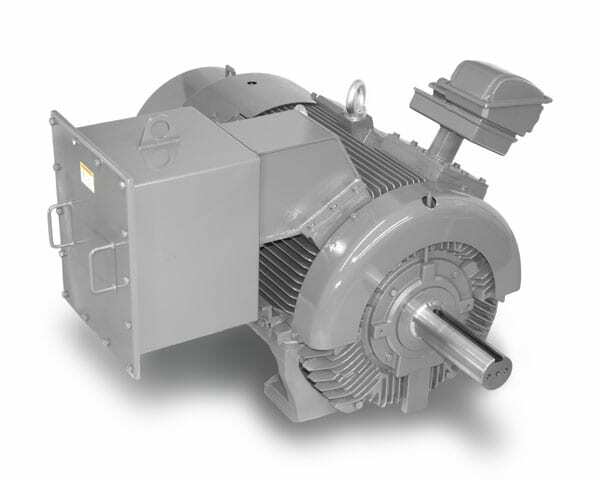 TWMI offers a variety of heavy industrial drive and motor starting solutions.